Even more so than machine and spellcaster monsters, dragon-type cards reign supreme, seeing a steady release of new and impressive members. Of the 25 monster types, dragons tend to have the highest ATK, powerful effects, and numerous Extra Deck options. With hundreds of dragons to browse, which showcase the most power? 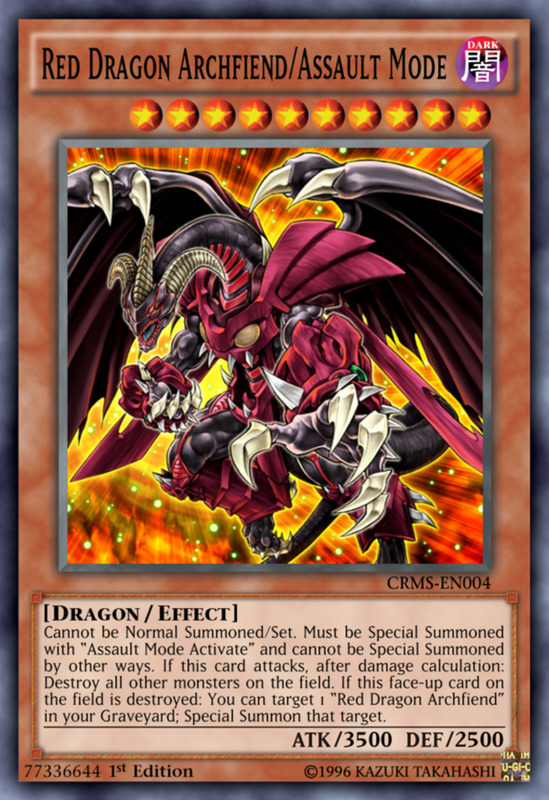 Factoring in both ease of use plus strength, here are the top ten dragons in Yu-Gi-Oh! 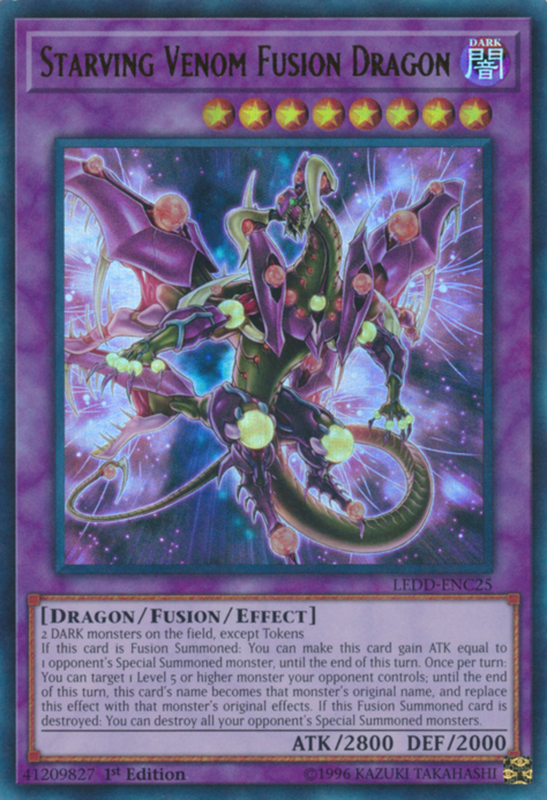 An advanced form of the popular Synchro card "Stardust Dragon", summoning this behemoth requires the Trap card "Assault Mode Activate" to be used while Stardust is on the field (it cannot be Tribute Summoned). Sure, calling it out takes a little effort, but none can deny Assault Mode's boons. Besides impressive battle attributes, it can tribute itself on either turn to negate any effect—and revive at the End Phase! This essentially means your opponent will have one effect negated every turn, rapidly diminishing their plays. Finally, even if they do manage to destroy Assault Mode, it will summon regular Stardust from the Graveyard, refusing to leave its master empty-handed. One of the oldest cards on today's list, Chaos Emperor matches Assault Mode's fantastic 3000 ATK, and shares the inability to be Normal Summoned. To Special Summon it, you simply need to banish one light and one dark-attributed monster from your Graveyard, an easy task considering their abundance. Chaos's effect is like a failsafe: if you're losing, activate it by paying 1000 Life Points to send all cards in each player's hand and field to the Graveyard, inflicting 300 damage to your opponent for each. If the thousands of damage you'll likely with this inflict doesn't finish your opponent off, you'll have turned the match into an "empty field, luck of the draw" situation, making Chaos a superb backup plan. Regrettably, this awesome effect has long since banned the card from official play. Trishula isn't banned, but (as of this writing) it's limited, meaning you can only place one in your deck. Not hard to see why with such a fantastic ability: when Synchro Summoned, you can banish a card from your opponent's field, Graveyard, and a random one from their hand! Losing three cards should devastate almost any foe, shifting the matchto your favor. 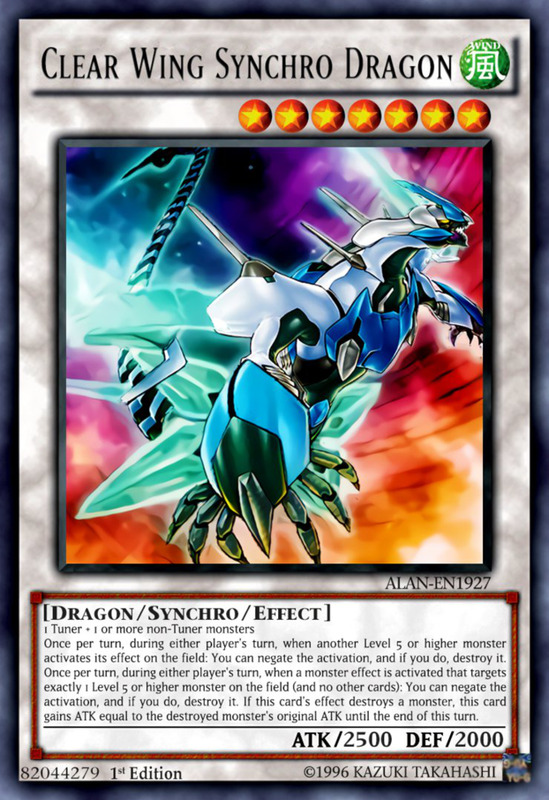 And because this ability triggers upon entry, you don't have to particularly worry about keeping Trishula safe since you'll have already made good use of its effect. 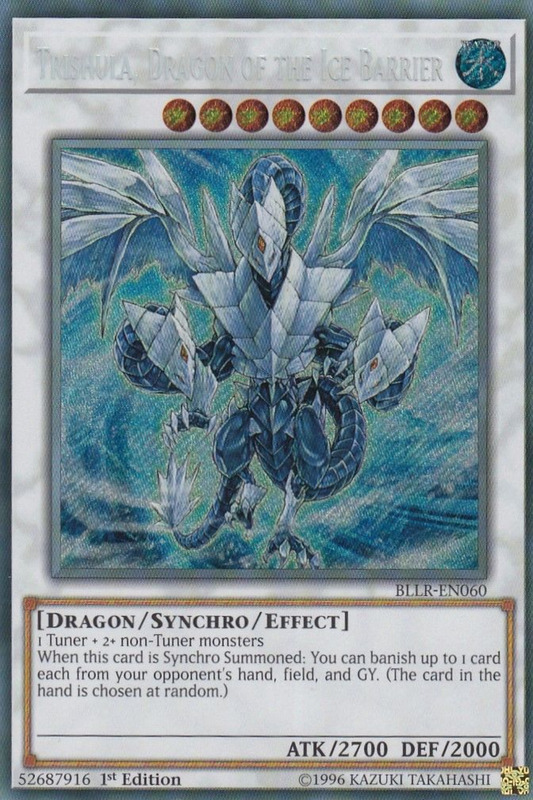 If Trishula has a downside, it's that it needs a tuner and at least two non-tuners (rather than the usual one) to Synchro Summon. Nonetheless, despite belonging to the Ice Barrier archetype, Trishula combos excellently with any tuner deck, and it wields strong ATK, too. A card with high ATK and DEF that skirts up and down the limited list, Darkness Metal is another oldie but goldie. 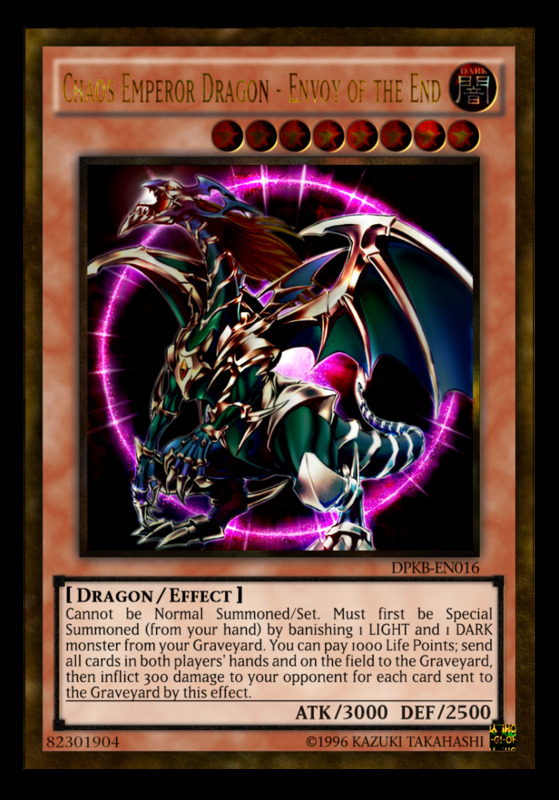 As usual with Level 10 monsters, you can Tribute Summon the card by sacrificing two monsters; however, Darkness Metal brandishes a much easier Special Summon by simply banishing a dragon you control. After that, you can (once per turn) Special Summon any dragon from your hand or Graveyard, a fantastic way to gimmick your high-level monsters onto the field. The Red-Eyes series never achieved quite the popularity of the Blue-Eyes, but variants like Darkness Metal prove they're still prime contenders competitively. Arc-V protagonist Yuya's signature monster, Odd-Eyes impresses both on its own and with its myriad support list. As a Pendulum Monster, Odd-Eyes can be continuously resummoned with the right Pendulum Scales, it has decent ATK, and it inflicts double battle damage to opponents when battling a monster! 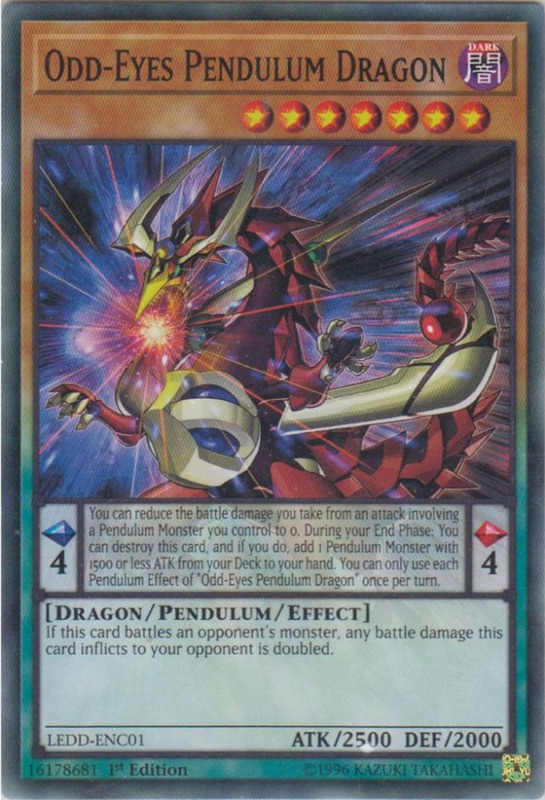 Additionally, if placed in the Pendulum Zone, not only can you negate any battle damage to your Pendulum monsters, at your End Phase you can destroy Odd-Eyes to add any Pendulum monster with 1500 or less ATK from your deck to your hand! 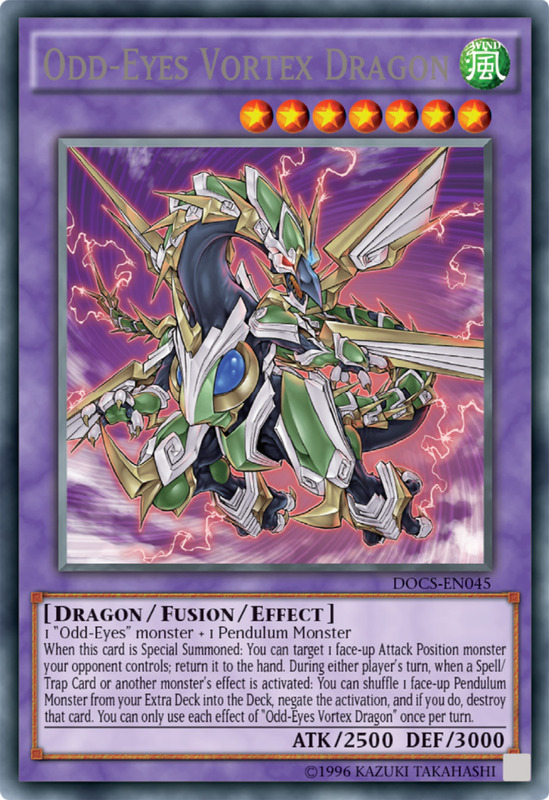 Vortex Dragon descends onto the field by fusing Odd-Eyes with any Pendulum monster (possibly a second Odd-Eyes). 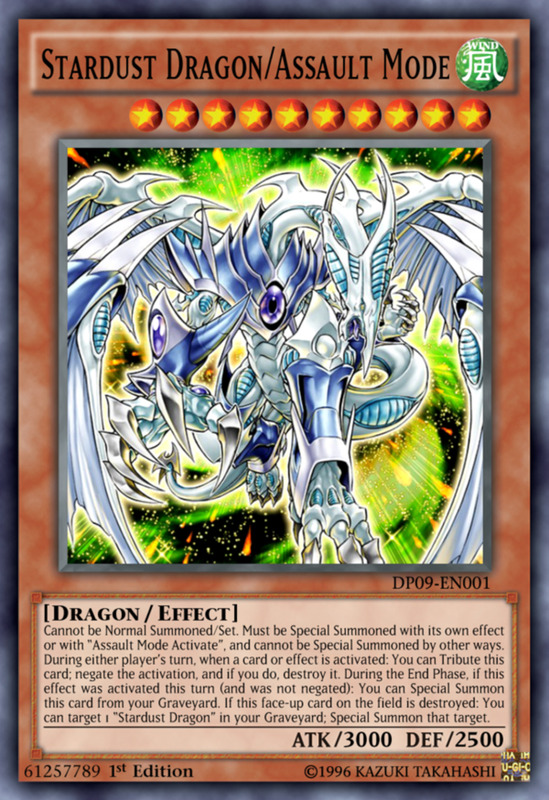 Vortex Dragon has solid ATK, but you may want to keep it safe in Defense Position considering its great DEF and reusable effect: once per turn, you can shuffle a Pendulum monster from your Extra Deck into your deck to negate and destroy an opposing effect! 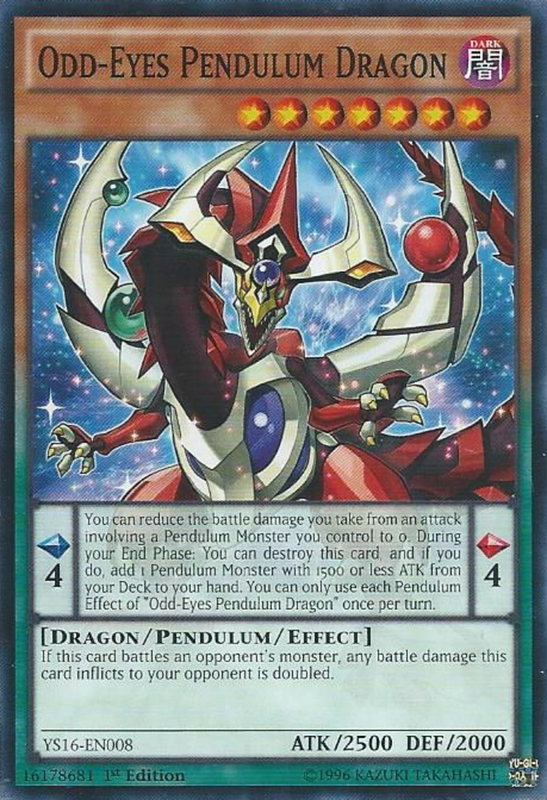 Like Stardust Dragon/Assault Mode, you can continuously negate effects as long as you have cards in your Extra Deck, which isn't hard considering Odd-Eyes' Pendulum ability. 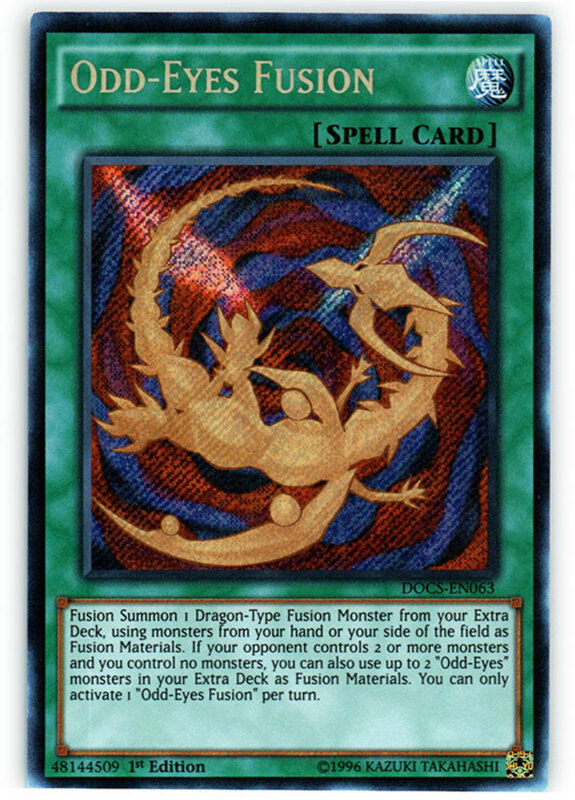 Finally, be sure to run the card "Odd-Eyes Fusion", which easily places Vortex onto the field by accessing cards in your Extra Deck. 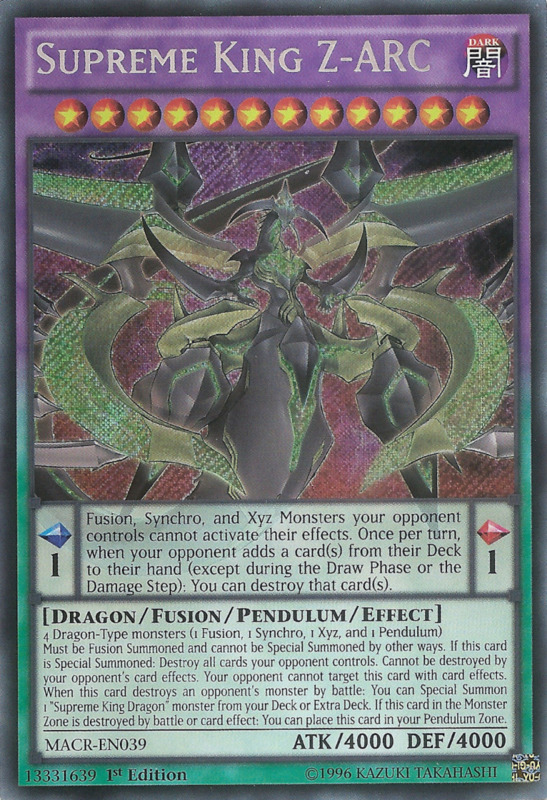 If Z-ARC ends up in the Pendulum Zone, not only is it a desirable Scale 1, it prevents opposing Fusion, Synchro, and Xyz monsters from using their effects, and you can destroy cards attained outside of the normal draw each turn. Geez, Konami, do you think you gave Z-ARC enough abilities? Yugo from Arc-V made good use of this impressive beast. Unlike Trishula, it's happy to accept a tuner alongside only one non-tuner for its summon. Clear Wing can negate and destroy a Level 5 or higher monster when they activate their effect, and it can do the same for lower level monsters if their effect targets only one level 5 or higher monster. Additionally, when Clear Wing negates and destroys a monster, it gains that monster's ATK for the turn! For a simple explanation of the above jargon, Clear Wing essentially shuts down opponsing monsters from using their abilities. If your adversary doesn't have a Spell or Trap removal handy when Clear Wing arrives, they'll soon find themselves unable to counter its potent lockdown. Wow. Starving Venom's effects add to its already-stellar ATK, steal opponents' abilities, and destroy their Special Summoned cards. Combined with Venom's ease of summoning, don't be surprised if you regularly see it in the meta community. Admittedly, on its own, this dragon isn't the best, as it has no effects. 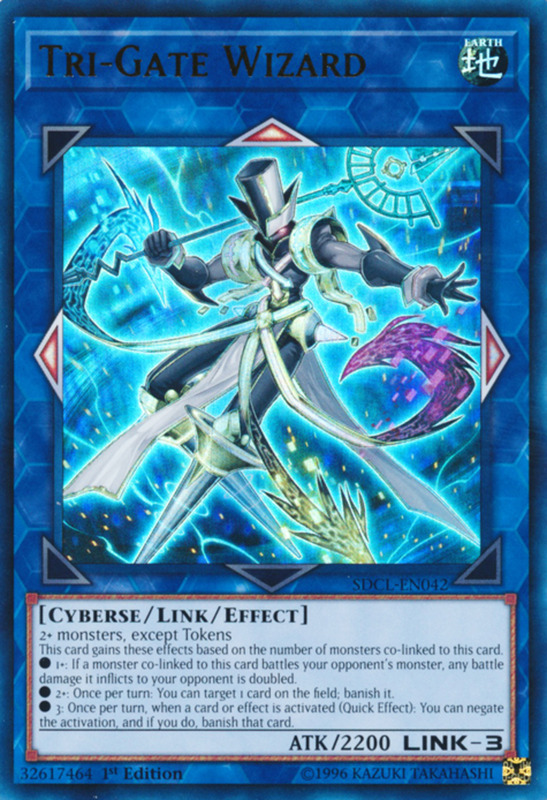 However, (especially with Seto Kaiba), Blue-Eyes has long represented the pinnacle of power, possessing the highest ATK of any original normal monster. Additionally, it's stayed surprisingly relevant thanks to a plethora of Fusion and Synchro variants plus strong supporting cards. 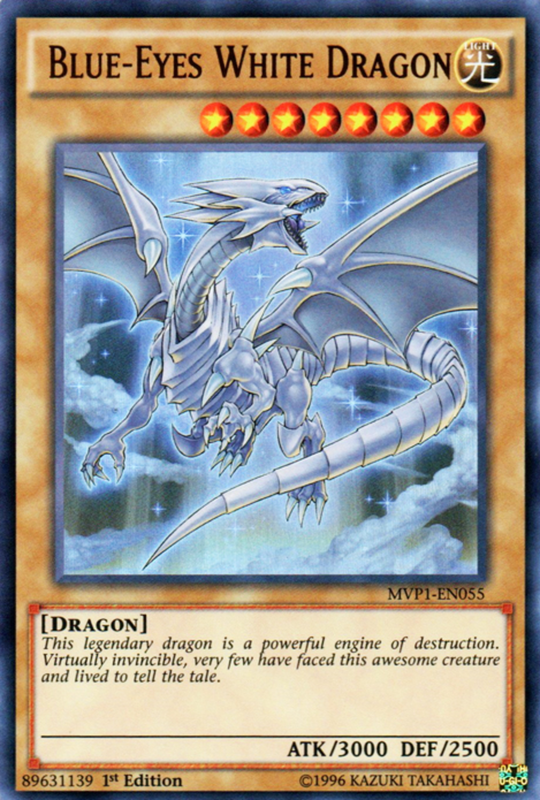 Blue-Eyes is not only the iconic dragon of Yu-Gi-Oh, it's the cornerstone of quite-viable Blue-Eyes decks, and considering its popularity, will likely see consistent support in the future. Today's entries represent the cream of the crop, but with so many lethal dragons around, we're bound to cover more impressive winged reptiles in the future, especially with the advent of powerful link monsters like Firewall Dragon. But for now, as we eagerly await Konami's next monster expansion, vote for your favorite dragon and I'll see you at our next Yu-Gi-Oh countdown! Why did you include Clear Wing but not Crystal Wing in your list of top 10 dragons in Yu-Gi-Oh? Glad you asked. First, I wanted to showcase a variety of powerful monsters, and these guys are pretty similar. Additionally, while Crystal is stronger, he's harder to summon, needing another synchro monster as his nontuner material. 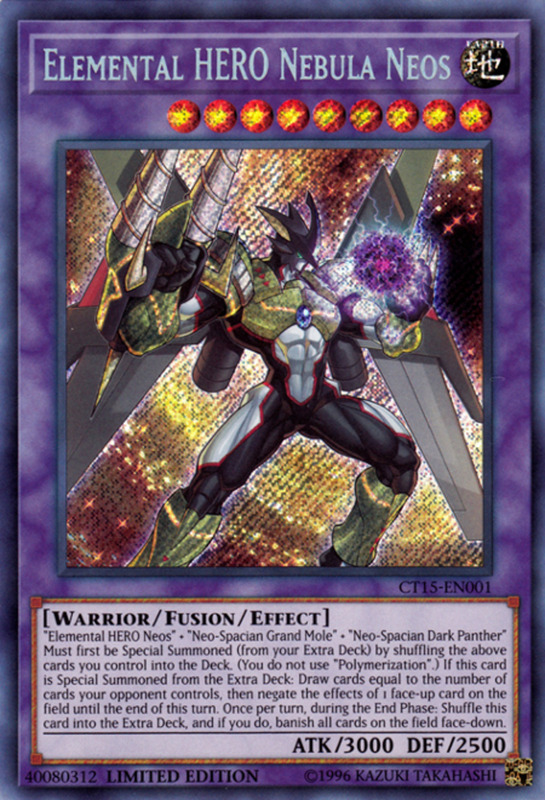 But you're right, he's a formidable card for structures emphasizing powerful synchro summons. 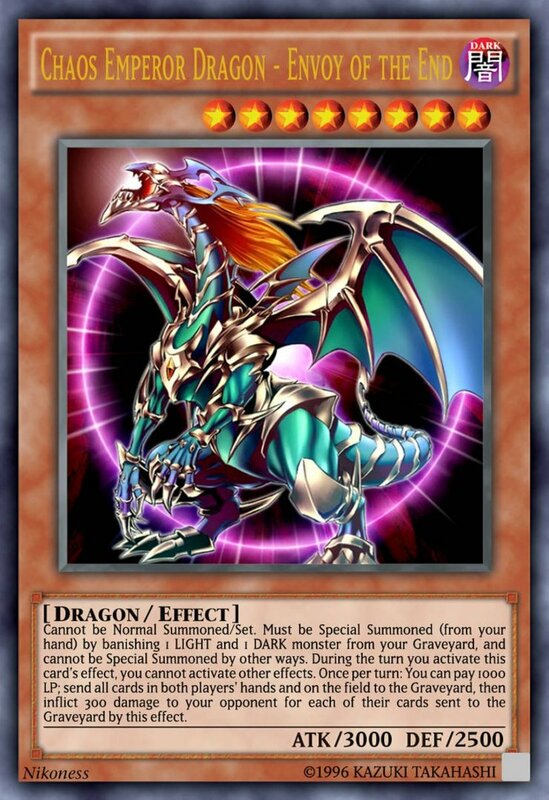 Why aren't the Dragon Rulers on the list of top dragons in Yu-Gi-Oh? Mostly since they've been banned for years; I try to include legal cards that can actually participate in official events. But you're right, the Dragon Rulers are certainly powerful. 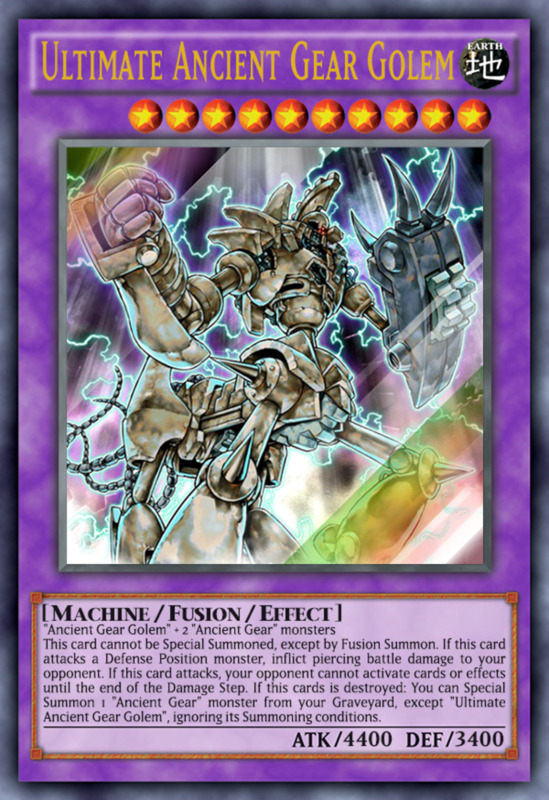 Why isn’t Dark Rebellion Xyz dragon in this list? It's a good card for sure, but I wouldn't quite put it in the top ten dragons (especially with the newer extra deck limitations the game imposed). Still, if it helps, it made my top ten Xyz monster list. Why isn't Rainbow Dragon here? Or Majestic Star Dragon? Easy: summoning conditions. While both those monsters are formidable, they require specific cards to use (limiting which decks they fit into). Even worse, they're tricky to summon, requiring plenty of time and set-up. When factoring a monster's overall strength, we have to look at how easily it can be played; all the power in the world doesn't do a dragon's owner any good if it never hits the field. Would you consider Tempest, Dragon Ruler of Storms a top 10 Yu-Gi-Oh dragon? He's (as of this writing) banned, and I generally avoid banned cards in countdowns since they're not allowed in official play and thus of limited use when deck-building. The Dragon Lords are definitely a formidable series, but I doubt they'll be leaving the ban list anytime soon. Glad you asked, hopefully, that clears things up. 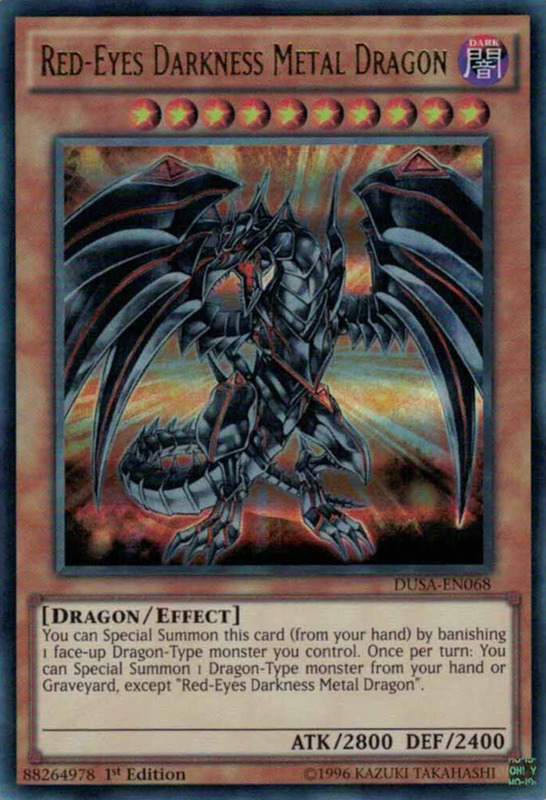 Since Trishula is now banned, I think Dark Rebellion should go up on the list, not only to complete the dimension dragons, but also because of its power, generic materials along with virtually unlimited attack (I think a monster capable of beating iC1000 is at least somewhat awesome and its something none of these other dragons can do). As for other recommendations, I think updating it to include a Borreal Link monster would make sense considering their amazing power. I'm afraid you'll have to look more carefully at your cards, as Dragluon can only special summon dragons from your hand, not your extra deck. And even if it could, Z-arc's text states it can only be fusion summoned, so a regular special summon wouldn't field it anyway. I certainly don't mind polite debates! Ignister and Trishula are both awesome cards whose usability is slightly detrimented by their shifting limited statuses. Triushula's needing of two nontuners also makes it a bit tougher to summoner than most synchro dragons; but you're definitely right that these are fierce units, and I'm a big fan of both entries myself. One of the fact that create the infamous legend of Trishula is that it's effect does not target, this combine with the fact that the effect banish not destroy make the most protected boss monster shaken in fear, and it is not even including the other two banish target. Although I don't have any critic to the list since there are to many strong dragons and making a top 10 without a ten years effort of researching is impossible, I personally think Ignister Prominence should be included in the list. GOD THIS CARDS ARE SICK! Not quite as iconic as these entries.